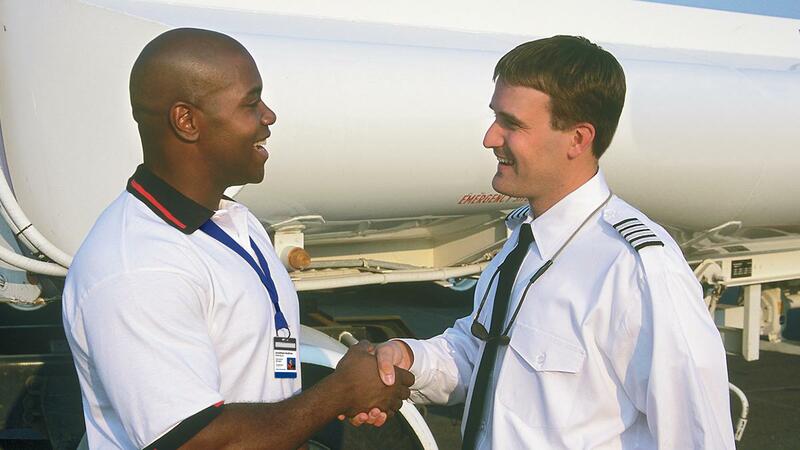 Become a Supplier | Universal Weather and Aviation, Inc.
We understand the importance of the relationships we develop with our suppliers, because these relationships are critical to our future growth and success. Our goal is to establish and maintain long-term relationships with suppliers who can bring us the highest-quality services and solutions for our clients at the best possible value, while maintaining the highest ethical standards. As part of our Global Community, our suppliers play a key role in helping Universal and our clients achieve our shared purpose of delivering successful trips. We believe in working with our clients as a partner, not as “just another vendor” – and that belief carries over to our relationships with our suppliers. Working together to help set pre-trip expectations and being ready to mobilize and execute when trouble strikes are key elements of how we support our clients around the world – wherever they fly. We award our suppliers either Qualified or Preferred status. Qualified suppliers meet the criteria required by our program for the category of services offered. Preferred status is a premium designation available only for certain categories of services, and is awarded to those suppliers who are able to meet the requirements of our Preferred Supplier Programs. We are committed to the highest standard of service quality and business integrity in our dealings with suppliers. As a result, all suppliers are expected to conduct themselves with the highest standards of honesty, fairness, and personal integrity. It is critical to our company’s stature to maintain high standards by adhering to all applicable laws and avoiding even the perception of impropriety or conflict of interest. Review our complete Supplier Code of Conduct. Universal Weather and Aviation, Inc., all its direct and indirect subsidiaries, and all its majority-owned joint ventures are committed to complying fully with all laws that apply to our business, both in the United States and in foreign countries in which the company does business. Therefore, all our suppliers are required to demonstrate their commitment to abiding by Universal’s Foreign Corrupt Practices Act Compliance Policy. The purpose of this Foreign Corrupt Practices Act Compliance Policy is to help ensure compliance of all Universal suppliers with the U.S. Foreign Corrupt Practices Act of 1977. We periodically conduct audits and reviews of our suppliers to ensure adherence to our policies, requirements, and terms and conditions. Universal has established general terms and conditions for suppliers who are not currently under contract. Compliance with the following terms will ensure timely payment. Service invoices and supporting documents must be submitted within seven (7) days of service to ensure timely payment. Invoices are paid no sooner than forty (40) days after invoices are submitted. All Invoices must be submitted in English. Invoices received after 180 days from the date of services will not be paid. Review all of Universal’s terms and conditions. Universal conducts due diligence on all new suppliers prior to contracting. We utilize TRAC (Trace* Registered Access Code) which is an online system that reviews information entered by a company against government watch lists and validates a TRAC holder’s identity, address, and information. Key documents are uploaded by TRAC holders in order to substantiate the information associated with their code and their profile on the TRAC web portal. The TRAC holder will receive a unique 12-digit code assigned to their company. Once you receive your 12-digit code, you can connect both with Universal and other companies in the TRAC system. Please go to the TRAC website and follow the instructions provided. After you have provided this information, and your company has passed all required background checks, you will be contacted by our Strategic Sourcing Group and provided instructions on submitting a detailed Request for Proposal (RFP). Qualified or Preferred supplier status will only be awarded to those suppliers who can bring us the best value and the best solutions to our clients. * Trace International, Inc. (TRACE) (www.traceinternational.org) was founded in 2001 as a non-profit membership association that pools resources to provide practical and cost-effective anti-bribery compliance solutions for multinational companies and their commercial intermediaries (sales agents and representatives, consultants, distributors, suppliers, etc. ).